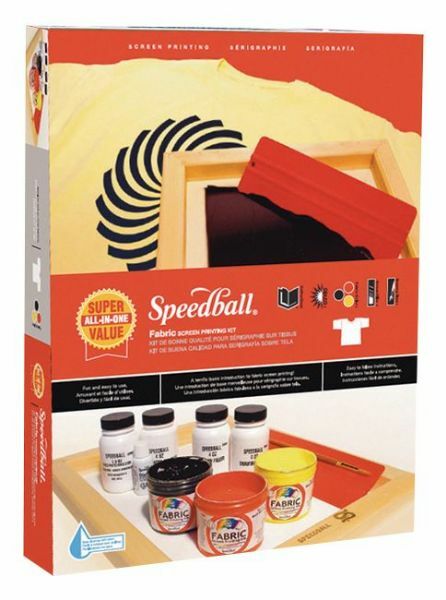 A terrific introduction to screen printing. * Contents include a 10" x 14" screen frame fabric squeegee three jars of 4 oz. fabric ink in black red and yellow 4 oz. screen filler 4 oz. drawing fluid 4 oz. Diazo photo emulsion 4 oz. Diazo photo emulsion remover ½ gram Diazo sensitizer #6 round brush and instruction booklet. 16.8" x 12.7" x 2.5"